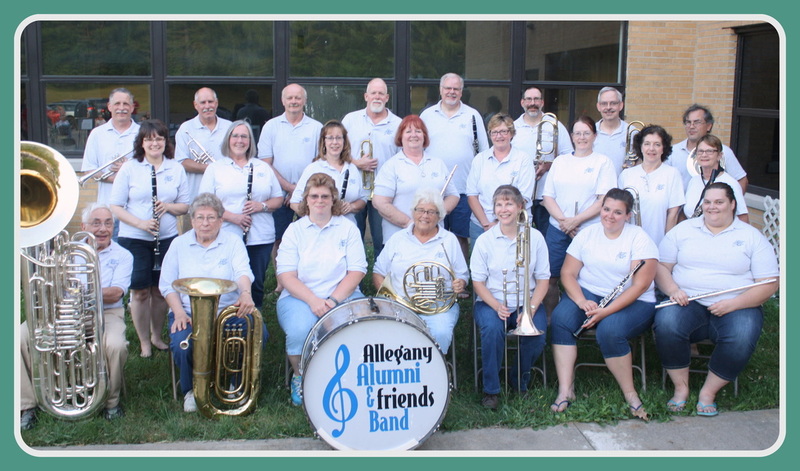 The Allegany Alumni & Friends Band (AAFB) is a community concert band consisting of volunteer musicians from western New York and northwestern Pennsylvania. 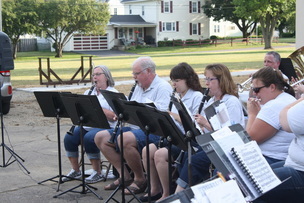 When originally formed in June 2000, the band was comprised entirely of alumni from Allegany Central School. Over the years, though, the band has grown to include many local friends who also share a passion for music. 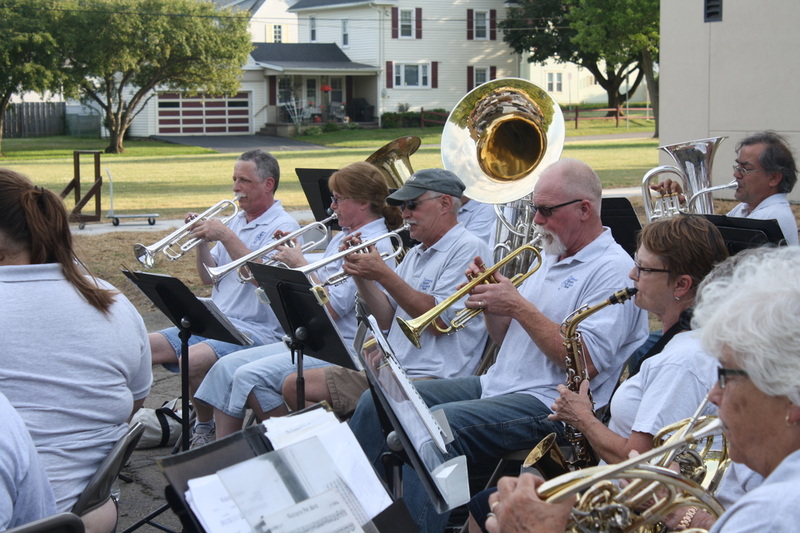 AAFB plays year-round, but is most busy during the summer months, entertaining audiences at local parks, festivals, parades, and charity events. 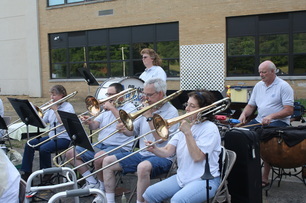 At each concert, the band plays a combination of traditional marches, circus marches, patriotic music, novelty pieces, and a variety of concert band selections. * Rehearsals for our summer season are underway. Please see the Schedules tab for details. Rick Youngs, and Nancy Phearsdorf.